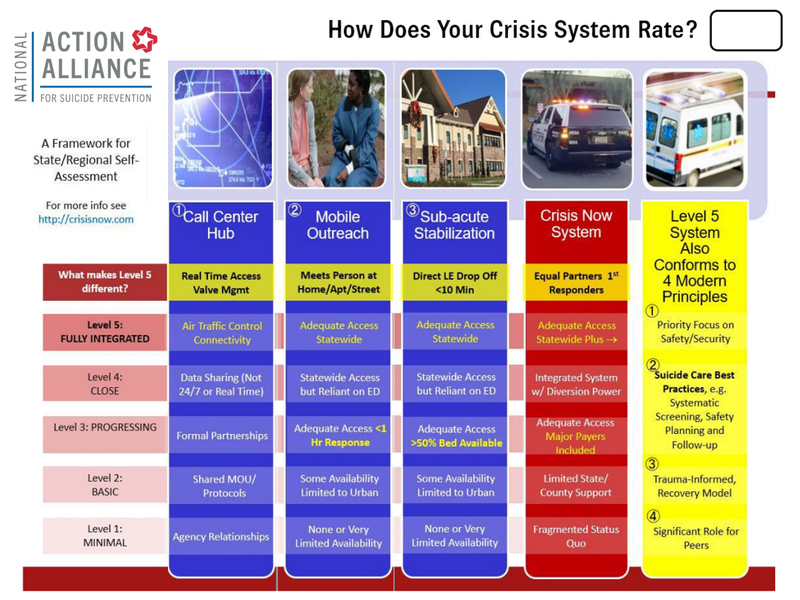 Making better crisis care available in your area is closer than you think. …published with permission of tbdSolutions. View the Crisis Now Report to see implementation recommendations for the transforming crisis services. Use this assessment to rate your state or local regions crisis framework from minimally to fully integrated. Quantifying Improved Crisis Continuum Outcomes. 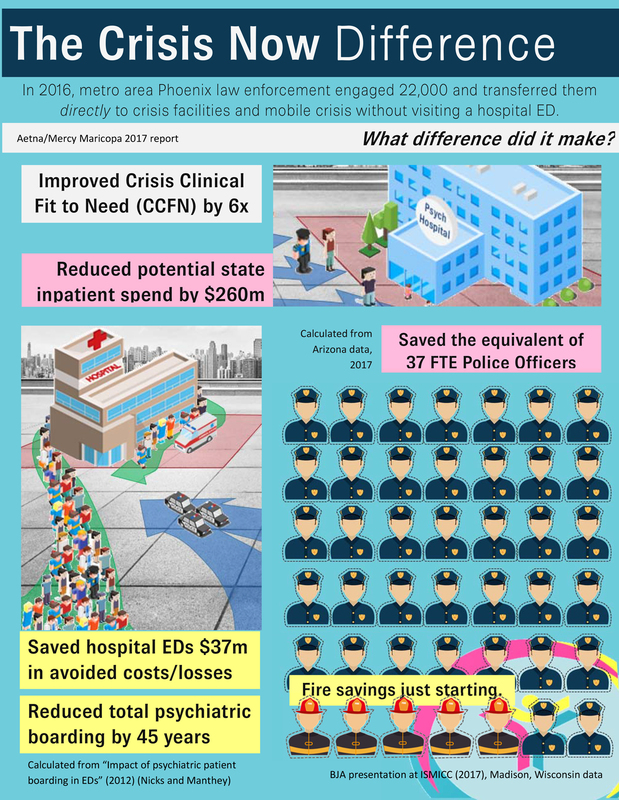 In 2016, metropolitan area Phoenix law enforcement engaged nearly 22,000 individuals that they transferred directly to crisis facilities and mobile crisis without visiting a hospital ED. This is Crisis Now. Second in a Series of Ten Briefs Addressing: What Is the Inpatient Bed Need if You Have a Best Practice Continuum of Care? Nearly 10 million individuals in the United States are estimated to live with a diagnosable psychiatric condition sufficiently serious to impair their personal, social, and economic functioning. Fourth in a Series of Ten Briefs Addressing: What Is the Inpatient Bed Need if You Have a Best Practice Continuum of Care? The First Urgent and Emergency Mental Health Care Summit, jointly hosted by the Mental Health Commissioners Network, part of NHS Clinical Commissioners, UK and RI International, USA, found much in common for the two countries with both challenges and opportunities. More than 50 leaders fully participated in the event which brought together both the United Kingdom and USA to share good practice, learn from each other, but also to develop recommendations to take back to our respective politicians and policy makers to help bring about change. The event was a match session for the International Initiative for Mental Health Leadership (IIMHL) exchange which took place in Stockholm, Sweden the two days following the London crisis summit. The PowerPoint below gives a summary of the highlights of the two days, and expect a formal document that will be posted in the coming months and review the recommendations of the group (download here).